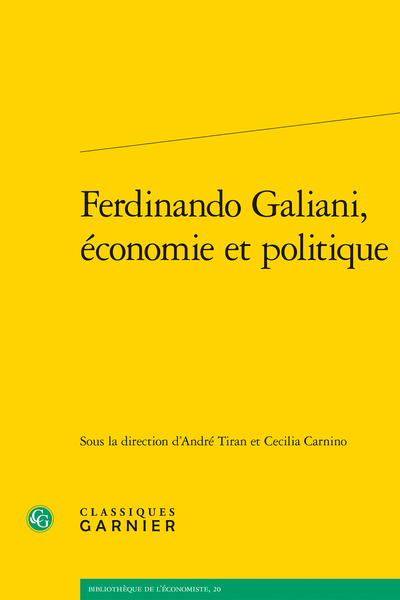 Abstract: Ferdinand Galiani was a brilliant mind and an incisive analyst of value, money, institutions, and society. Based on an analysis of his economic thought, this work examines more broadly the definition of political economy as science and action in the eighteenth century. Ferdinando Galiani précurseur de Vilfredo Pareto ?